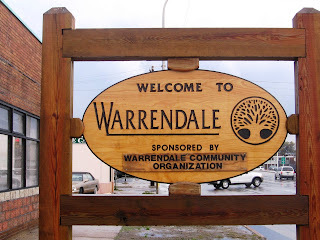 The next meeting of the Warrendale Community Organ- ization will be on Monday, November 12th at 7 p.m. It will happen in the activities building of Sts. Peter & Paul Church (7685 Grandville - the activities building is located behind the church; accessible from their parking lot). This meeting will focus on reviewing and approving a new set of by-laws for the organization. They will also seek nominations for each of their officer positions.